The term ‘Continental Philosophy’ hides a historical enigma in plain sight. It draws our attention to the striking intellectual convergences in the 1950s and 60s between thinkers from across Europe. In Germany, Spain, France, Italy, and elsewhere philosophers debated phenomenological ideas and declared themselves existentialists. But the transnational connections between these philosophers contrast starkly with the parochial and inward-looking nature of the philosophical institutions they inhabited: University curricula prioritized national philosophical traditions; academic careers were built on participation in local debates; while publishers were notoriously slow to translate even the philosophical luminaries of other countries. In addition, phenomenology and existentialism were both closely associated with Germany, a nation whose influence was otherwise at a low ebb in the years following World War II. Given these barriers, how were phenomenology and its existentialist heirs able to spread outside of Germany and find fertile ground in new lands? That is, how was something like a ‘Continental Philosophy’ possible? In my talk, I examine the early history of phenomenology and existentialism to explain how these philosophies travelled to new contexts in the 1930s and 40s. This examination highlights the role of what could be considered an earlier form of continental philosophy: neo-scholasticism. By studying the ways in which neo-scholastics encouraged the development of phenomenology in countries across Europe and indeed the world, from the publication of philosophical introductions, translations, and the organization of conferences, to the rescue of the Husserl archives from the Nazis in the lead-up to the Second World War, I reflect on what it means to talk about ‘Continental Philosophy,’ and the implications this has for the transnational intellectual history of the twentieth century. 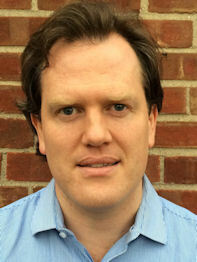 Edward Baring is Associate Professor of Modern European History at Drew University, in Madison NJ. He is the author of The Young Derrida and French Philosophy, 1945-1968 (Cambridge University Press, 2011), which won the Morris D. Forkosch Prize (2011), awarded by the Journal of the History of Ideas for the best book in intellectual history, and has written a number of articles on modern European intellectual history for Critical Inquiry, Modern Intellectual History, Journal of the History of Ideas, and New German Critique, amongst others. His 2014 article ‘Ne me raconte plus d’histoires: Derrida and the Problem of the History of Philosophy’, in History and Theory, was the joint winner of the Society for French Studies Malcolm Bowie Prize for the best article by an early-career researcher in French. He is currently working on a Europe-wide history of phenomenology, for which he was awarded a John Simon Guggenheim Fellowship in 2015. Due to its spread across the intellectual circles of the Muslim world in the post-classical age, both in the Ottoman and the Safavid empires, the so-called Theology of Aristotle counts as a telling example of the power of translation in creating conceptual spaces that exerted enormous influence on medieval Islamic philosophical and theological discourse. Though attributed to Aristotle, the Theology of Aristotle is, in fact, a reworking of some of Plotinus’ (ca. 270) treatises, which were later published as the Enneads by Plotinus’ most famous student Porphyry (ca. 305). In particular, the Enneads, Books Four, Five and Six, deal with the soul, the intelligible world and the First Principle, respectively. These three books were translated in Baghdad in the ninth century. The ‘adaptive’ translation was, in turn, reshaped into a completely new form, purporting to be a ‘theological’ treatise penned by Aristotle himself in order to provide the crowning part of his Metaphysics. The construction of this pseudo-Aristotelian text was carried out within al-Kindī’s school (ca. 873). There is evidence that this pseudo-Aristotelian version was in circulation and considered a literary text as early as the end of the tenth century. Yet the earliest dated manuscripts can only be traced back to the second half of the sixteenth century, and the great majority of them belong to the seventeenth century. An ERC (European Research Council) funded project is shedding more light on the reasons why this key text produced by al-Kindī’s circle in the ninth century became a sort of bestseller in the philosophical circles of seventeenth-century Persia and the Ottoman Empire. Drawing on the findings of this project, the presentation will examine some of the ways in which Plotinus’ treatises were reshaped in ninth-century Baghdad, as well as how this text was received and regained popularity in Safavid Persia (1501-1760) and at the court of Mehmed the Conqueror (1444-1446, 1451-1481). 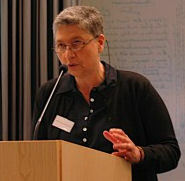 Cristina D’Ancona is Professor of History of Late Antique and Arabic Philosophy at the Department of ‘Civiltà e Forme del Sapere, University of Pisa, Italy. Her field of research is Neoplatonism, both in itself and for its influence on Medieval Philosophy, Arabic and Latin. She has published extensively on Plotinus and the Arabic works derived from Plotinus and Proclus. Between 2010 and 2015 she acted as Principal Investigator on the ERC Ideas Program Advanced Grant Greek into Arabic. Philosophical Concepts and Linguistic Bridges. ‘Knowledge translation’ (KT) has become a buzzword in modern medicine. In the medical context, translation is conceived of as a process of testing and synthetizing scientific knowledge produced in the laboratory to prepare it for sound clinical application and scientifically warranted health care. In this paper I will argue that the concept of KT hinges upon an understanding of knowledge as transcendent to the textual and material processes in which the knowledge is produced. Hence, knowledge is seen as detached from its ‘bio-text’, i.e. the life-giving referential space where the knowledge comes into being. Both Kristeva and Derrida demonstrate – although in singular manners and through the ‘translation’ of different mythologies – the impossibility of ‘detextualizing’ the ‘transcendental signified’ from its bio-textual forms of production. Through his reading of the Babel story, Derrida shows how the Shemites’ attempt to make a transcendent ‘name for themselves’ provokes God’s ‘deconstruction of the tower, as of the universal language’. Their strive for transcendence perverts into confusion. And what is more, God, the deconstructor, by imposing his name, risks confusing his proper name with a common noun (‘confusion’). By introducing his name into the world it enters into a play of difference; it becomes productive and textualized. In Kristeva’s reading of the Cura myth in which the goddess Cura shapes man from a piece of clay the act of naming her creation introduces an ontological struggle (between Cura, Jove and Terra) about the possession of the human being. Moreover, this struggle (which is settled by Saturn) results in an ontological split between the creation and the unity ascribed to it through a proper name. It creates a demarcation between the process of healing/coming into being / signifying ‘with twists and turns in time’ that Cura represents and health as ‘definitive state’ (a transcendental signified) enforced through the act of naming. With Derrida’s Babel and Kristeva’s Cura as ‘intertexts’ I will argue that KT cannot proclaim unity – a transcendental gold standard of evidence – without undermining its own project and without creating ontological conflicts between healing and health, cure and care, soul and body, bios and zoe, truth and myth etc. Knowledge cannot be detached from the textual play of differences that Babel symbolizes or the durative process of coming into being represented by Cura. Knowledge has no transcendent status but is an immanent and integral part of a textual and healing productivity – a ‘bio-text’. In conclusion, I argue that knowledge can only translate as bio-text, as ‘trace’ of a singular difference and form of production. [i] Graham ID, Logan J, Harrison, MB, et al. 2006. Lost in knowledge translation: time for a map? J Contin Educ Health Prof 26(1):13-24. [ii] Derrida, Jacques. 1985. “Des Tours de Babel”. in Joseph F. Graham, Difference in Translation. Cornell University Press. 165-207. [iii] Kristeva, J. 2012. Hatred and forgiveness. New York: Columbia University Press. 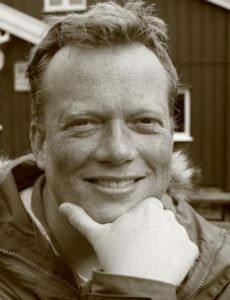 Eivind Engebretsen is Professor of Medical Epistemology and Research Director (as the first with a human science background) at the Faculty of Medicine, University of Oslo, Norway. His current research is concerned with the discourse of ‘knowledge translation’ within medicine, its different genealogies and how it might be expanded by drawing on theories of translation from linguistics, philosophy and anthropology. He leads the research group KNOWIT – Knowledge in Translation. Engebretsen’s originality as a researcher lies in his ability to ‘bridge the gap’ between the medical and the human sciences and to engage with academic discourses in both fields. He has published in leading journals in medicine (e.g. The Lancet and the British Medical Journal) and the humanities (e.g. Social History) and collaborated with influential scholars in both disciplines, including the French-Bulgarian philosopher and psychoanalyst Julia Kristeva, the Oxford academic and physician Trisha Greenhalgh, and the Harvard anthropologist and physician Paul Farmer. My paper explores the ways in which knowledge changes as it is appropriated through translation. I focus on two cases from the sixteenth and seventeenth centuries, and base my approach on material semiotics. Translation affects the knowledge being transmitted because it is conditioned by immediate, local concerns and resources. The Jesuit missionary endeavour, the first truly global enterprise, involved translation into a range of languages and covered not only religion but also practical knowledge put to local use. It also entailed translation into European languages, conveying foreign knowledges tailored to fit the Jesuit agenda. The Early Modern Low Countries appear as a similarly multilingual microcosm where vernaculars jostle with Latin. Here, Latin academic knowledge adapts to local circumstances and the common language to serve practical needs. In turn, Dutch expansion overseas contends with issues and opportunities of its own, as attested by the constant search for reliable interpreters. For all their differences, both cases show translated knowledge as invariably localised, and as emergent rather than as an invariant. Theo Hermans was educated at the universities of Ghent (Belgium), Essex (M.A.) and Warwick (Ph.D.). He is currently Director of the Centre for Translation Studies (CenTraS) and Professor of Dutch and Comparative Literature at University College London (UCL). 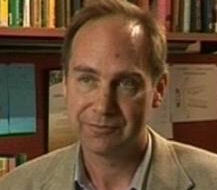 His main research interests concern the theory and history of translation. He edits the series Translation Theories Explored, published by Routledge. He writes in both English and Dutch. His books in English include The Structure of Modernist Poetry (1982), Translation in Systems (1999) and The Conference of the Tongues (2007). He is editor of The Manipulation of Literature (1985), The Flemish Movement (1992), Crosscultural Transgressions (2002), Translating Others (2 vols, 2006) and A Literary History of the Low Countries (2009). He is a member of the Royal Flemish Academy, an Honorary Research Fellow in the University of Manchester’s Centre for Translation and Intercultural Studies, and an Adjunct Professor at the Chinese University of Hong Kong, Shenzhen (China). In this paper I explore alternative approaches to ‘knowing’ within transnational social movements with specific attention to how these knowledge practices impact our understanding of democracy. Specifically I will address a trajectory of knowledge practices from the transnational alterglobalization movement (early 2000s) to the Occupy movements in Europe and the US (2010s) to today’s anti-racist and anti-fascist movements in the US. Four assumptions about knowledge found within the alterglobalization movement will be the starting point for the discussion of this trajectory: first is the idea that knowledge is collectively constructed. Second, that knowledge is context specific, partial and provisional. Third, that a distinction must be made between knowing something and knowing better. And finally, the idea that ignorance is useful. I show how each of these knowledge practices diverges from ‘standard’ assumptions about knowledge and raises important questions about the status of truth, perspective, power and expertise. These alternative practices of knowing are part of a political struggle to reclaim the right to know from those who have long monopolized the authority to sanctify knowledge and who have insisted that knowledge is a unitary and (in some respects) universal phenomenon, thereby delegitimizing all other ways of knowing. Finally, I critically examine these knowledge practices in light of more recent movement knowledge practices which are taking place within a more polarized political climate. I place movement knowledge practices within their broader political context to explore the consequences of various approaches to knowledge on how we envision the body politic, the nation-state, equality, conflict, deliberation and the potential for social change. 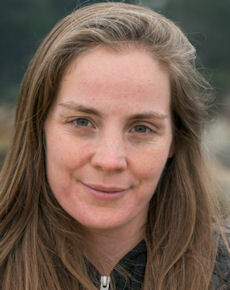 Marianne Maeckelbergh is Associate Professor in Cultural Anthropology at Leiden University, Netherlands and received her Ph.D. from the University of Sussex, UK. She has been participating in (and later researching) social movements since the mid-1990s. Her research focuses on the relation between emerging forms of self-determination and how these can transform our understanding of classic notions of democracy. Her other research interests include anthropological approaches to personhood, agency, urban transformation, media and digital technology. She is the author of The Will of the Many: How the Alterglobalisation Movement is Changing the Face of Democracy (Pluto Press, 2009). From 2014 to 2016 she was a Marie Curie International Outgoing Fellow at the University of California, Berkeley. Even when translators declare themselves to be faithful interpreters, individual acts of recreation and transformation inevitably occur during the process of translating a philosophical work from one language to another. Yet historians of medieval Arabic-Islamic philosophy have often treated the subtle changes in meaning that resulted from these acts as trivial, as curiosities to be recorded but then set aside in the pursuit of the more substantial work of analyzing arguments. This is partly because they follow the lead of the medieval Arabic-Islamic philosophers themselves, who maintained that the superiority of philosophy over competing methods of reasoning and arguing rested upon the universal applicability of logic, in contrast to grammar and lexicography, which were specific to particular languages. Close examination of the word choices made during the Greek-into-Arabic translation movement of the 8th-10th centuries CE reveals how often these decisions were in fact shaped by the late-antique Greek philosophical context to which the translators were the direct heir. In the case of the translations of works in the Aristotelian corpus, “late-antique Greek philosophical context” means, in effect, the numerous Greek commentaries that were composed – between the 3rd and the 7th centuries CE – on individual works by Aristotle, commentaries in which the semantic ranges of more obscure terms were set by commentators’ glosses that appealed to less obscure terms. The Greek-into-Arabic translators’ word choices in turn determined how Aristotelian concepts, distinctions, examples, theories and arguments were subsequently construed by medieval Arabic-Islamic philosophers. In some cases the set of interpretive possibilities available to the medieval Arabic-Islamic philosophers was broadened by the translators’ word choices, and in other cases it was narrowed. What is more, the exegetical practices of the late-antique Greek Aristotle-commentators were transmitted to the medieval Arabic-Islamic world when the commentaries themselves were translated. These practices largely shaped the way texts of philosophy were introduced, read, interpreted, edited, and taught, especially during the post-classical (ca. 1100-1900) period of Islamic intellectual history, when commentaries were the main genre of philosophical literature in Arabic. Robert Wisnovsky is a specialist in the history of Arabic-Islamic thought. His research centers on the philosophy of Avicenna (Ibn Sīnā, d. 1037), and he has published widely on its Greco-Arabic origins, internal development, and Arabic-Islamic reception. He first taught in the Near Eastern Languages and Civilizations Department at Harvard University (1996-2004), and since 2004 he has been based in McGill University’s Institute of Islamic Studies, where he is Director and James McGill Professor of Islamic Philosophy. Wisnovsky has also served as the Principal Investigator of two major research projects: the Post-Classical Islamic Philosophy Database Initiative, funded by the Canada Foundation for Innovation, and Transmission, traduction et transformation dans les cultures médiévales, funded by the Fonds Québecois de la Recherche sur la Société et Culture.